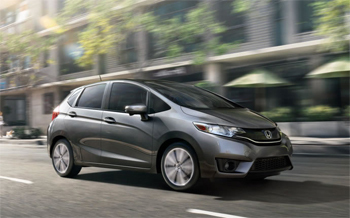 Honda has won numerous accolades for making some of the most family-friendly cars of 2015. Experts in the automotive press like Edmunds, US News and World Report, and Kelley Blue Book all consider the Honda lineup one of the best around for your family. In fact, in all of these publications, Honda had multiple showings in the best family cars lists – something most other automakers can’t say. So what are the experts saying about the family-friendly Honda lineup and what will that mean for drivers here in Elgin and Crystal Lake, IL? Read on to learn more! Edmunds also praised the Honda CR-V crossover, which the publication called the “top choice in its class.” The Honda Odyssey also made the Honorable Mention list at Edmunds. 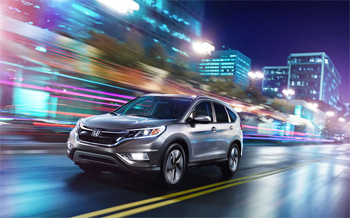 Earlier this year, the 2015 Honda CR-V won the compact SUV segment in the US News rankings of 2015 Best Cars for Families while the 2015 Honda Odyssey won the Minivan segment. The 2015 Honda Accord and the 2015 Honda Accord Hybrid were also finalists in their respective segments. It might not come as much of a surprise that Kelley Blue Book singled out the Honda CR-V and the Honda Odyssey as family vehicles, since they’re practically made for the role, but the respected publication also pointed out that both the 2015 Honda Civic and 2015 Honda Accord are both impressive family sedans. If you’re looking for a new car for your family, then consider a Honda. It’s obvious that Honda makes some exceptional cars for families, so visit us here at Brilliance Honda of Crystal today, at 680 W. Terra Cotta Ave. in Crystal Lake, just a short trip from Elgin, IL. Come find your next family vehicle today!